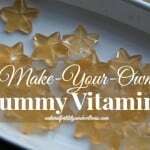 Homemade Gummy Vitamins - make your own herbal vitamins! 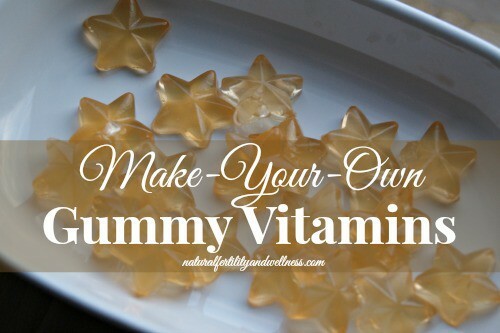 I really like homemade gummy vitamins. Well, let me rephrase that: I really like fruit snacks, chewy candies, and even gummy vitamins. It’s a terrible weakness of mine. I think I picked it up when I was a pre-school teacher and we kept fruit snacks in the classroom as treats instead of candy. 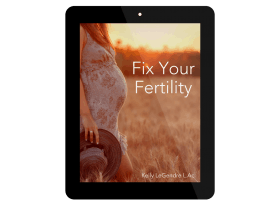 Unfortunately, for several months I just didn’t take my daily supplement (I could only work up the nerve to drink it about once a week) and herbal treatments are usually only effective if taken regularly for at least three months. So I regrouped and formed a new plan. All those gummy vitamins that are filling up the store shelves? Why couldn’t I make some? I did some research and realized that they could be made easily with what I had in my cupboard! I did buy a candy mold (just to make taking my vitamins more fun…) but they can easily be made in a shallow dish and sliced into small squares. The main herb that I’m trying now is Chaste Tree Berry (vitex), so this recipe is using just that extract. However, it can easily be changed to (or combined with) whatever extract you are looking to take. For this recipe, I take 2 gummies, 2x a day, but do your own research to decide what dosage you require. Any type of juice can be used, but my favorite is pineapple. An easy way to take herbal medicines. Pour juice in a small pan. Slowly heat until gelatin is dissolved, 2-3 minutes. Let cool until just slightly warm, mix in honey and herbal extract. Pour into candy molds or a shallow dish and cool until hardened. 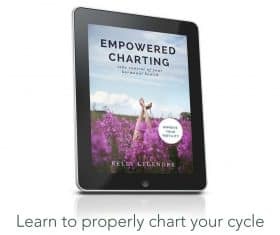 Natasha is an author and blogger from a small farm in northern New York where she lives with her mechanic-husband and two miracle-children. In her newest book, Counting Grains of Sand: Learning to Delight in a Promise-Making God infertility, adoption, hope, and loss, all collide in this gentle story of how God built a family from splintered pieces and taught one woman how to hold onto faith and learn to delight in a God-Who-Speaks-Promises even while journeying through the wilderness of sorrow. I’ve just started taking Chaste Tree Berry myself and appreciate what you are saying about the taste of it! Your recipe sounds great and I would love to give it a go. Could you clarify how much of the herbal tincture to put in please? By the ‘t’ do you mean teaspoons? Teaspoon is commonly abbreviated as t; tablespoon is abbreviated as T. I can’t wait to try this with elderberry syrup since my little one doesn’t like the consistency. Sorry about that, Kim. Yes, the lower case t stands for teaspoon. I will totally try this!